You may, for quite valid reasons, make no provision in your will for family members who might be expected otherwise to benefit on your passing. Nevertheless the family provision laws give such people the right to make a claim on your deceased estate. Good estate planning, particularly regarding how you hold your assets, can minimize the likelihood and hassle of such claims. Therefore you should take sound structuring advice on what assets should be held jointly, be in a superannuation fund or perhaps be held in a discretionary trust. You may then need to make, independently of your will, some changes to how you hold your assets. 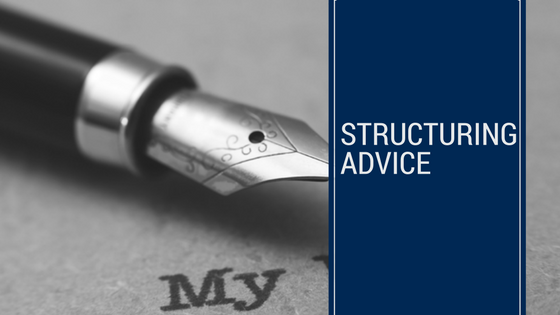 Structuring now while you are alive is all about avoiding unnecessary litigation about your estate when you die. The right structure means that you have greater flexibility in determining what happens to your assets without any fear that your wishes might be interfered with by other people. The right structure now may also be about your paying the right amount of tax. Though tax should never be your primary driver, it should always be taken into account in your estate planning.